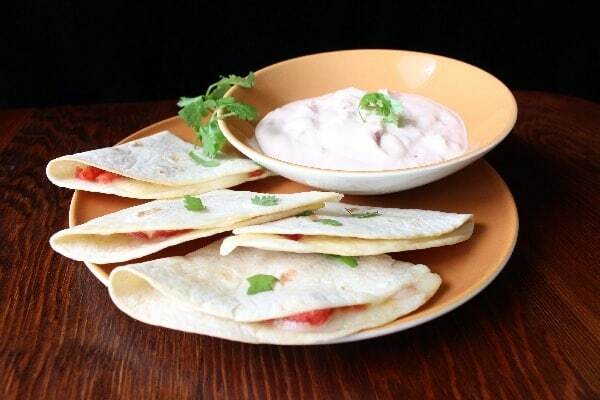 These baked quesadillas are filled with real Mexican melting cheese for delicious authentic flavor. Just pop them in the oven for a fast and easy meal! I love quesadillas. There’s nothing better than making a couple of fresh quesadillas in a skillet then sitting down to enjoy. However, when making quesadillas for a crowd, the skillet method is cumbersome and time-consuming. It’s as slow as making pancakes! 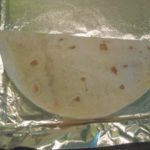 Therefore, if you’d like to make enough quesadillas to feed a crowd without having to stand over a skillet for half an hour, I’ve got a new method for you to try. 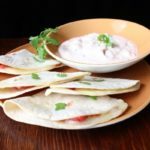 With oven baked quesadillas, you can make a large quantity of quesadillas all at one time that are hot and ready to serve at once. Personally, I’m hooked on using authentic Mexican varieties of cheese for quesadillas. I often use queso fresco, which is a firm, fresh cheese that can be broken into crumbles that resemble feta. Unlike feta, it has a very mild flavor. It’s not as melty as, say, Monterey Jack or cheddar, but the authentic Mexican flavor and firmer texture has won me over. For today, however, I’ve chosen a more melty variety: Mexican melting cheese. You may also find it called “quesadilla cheese.” It’s the absolute best cheese for baked quesadillas. It’s typically formed in a round shape, and is a creamy white color. To punch up the flavor even more, I added some RO*TEL when filling the quesadillas. There are several levels of heat to choose from, so pick the one that suits your palate. When serving a crowd, I often choose Mild RO*TEL because many people don’t like things as spicy as I do. If you like this kind of flavor, you’ll probably like my hearty chili recipe, too. And maybe make some Chocolate Applesauce Cake for dessert, too! 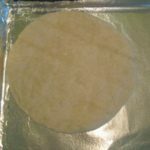 12 small flour tortillas You may substitute corn tortillas if you prefer. 1 - 3 in chipotle peppers adobo sauce Find these in a can in your Hispanic foods section. In a bowl, combine sour cream with 1, 2, or 3 chipotle peppers in adobo sauce, depending on how spicy you'd like it. Stir until the peppers break up completely. If they don't break up, use a knife and fork to cut them up, then stir until mixture is well combined. Refrigerate until ready to serve. Immediately before serving, garnish with fresh chopped cilantro. Preheat the oven to 400 degrees and line a large baking sheet with foil or parchment paper. Line a bowl with several layers of paper towels. 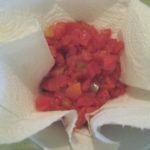 Place the tomatoes and chilies into the lined bowl to soak away extra liquid. 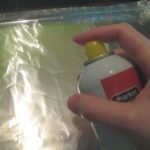 Spritz the lined baking sheet with cooking spray. Lay one tortilla on the baking sheet. Fill one side with a sprinkle of cheese, then a sprinkle of RO*TEL, then another sprinkle of cheese. Repeat with additional tortillas until the baking sheet is full. Bake for 10 minutes, or until the edges of each quesadilla are just starting to brown and the cheese is very melted. 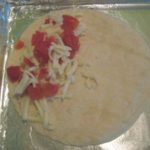 Remove from oven, then use a pizza cutter or large chef's knife to cut each folded over quesadilla in half. Serve immediately. Previous Post: « Join My Pinterest Easter Group Board! Great idea to bake these. I have to remember that next time. I am with you, I love to use a Mexican cheese in a quesadilla. Love the simplicity and flavor of this recipe. Queso fresco was a revelation for me. Now I crave it! 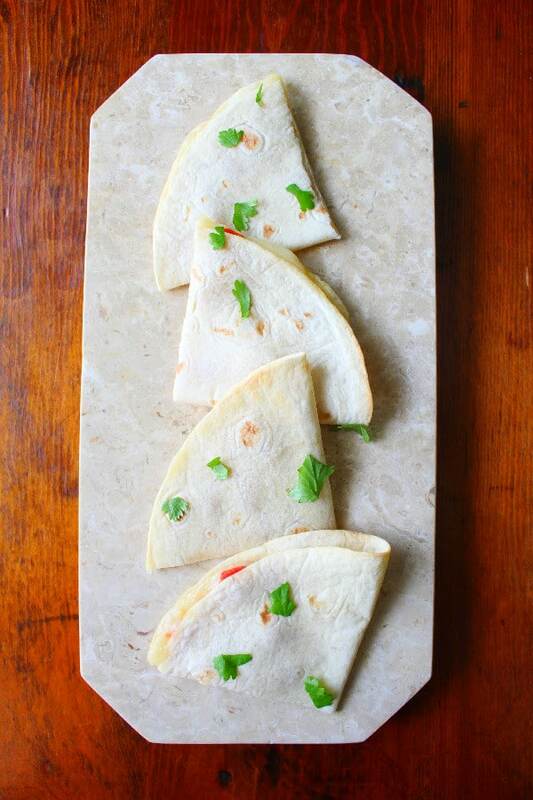 Quesadillas are a favorite of ours as well. I like the idea of making a whole bunch in the oven rather than single ones in the skillet. We also have a quesadilla maker, but the oven method sounds much better for making several at a time. How delicious! Quesadillas are my favorite go to fast weeknight food. Totally delicious! Thank you! I love having them for lunch, especially with lots of guacamole. MMmmm thesse would surely be a hit in my house! I FINALLY found chilies in adobo sauce at my grocery store so I can start making awesome recipes like this one. I just love Mexican cuisine! Me too! And those peppers in adobo sauce are like magic. 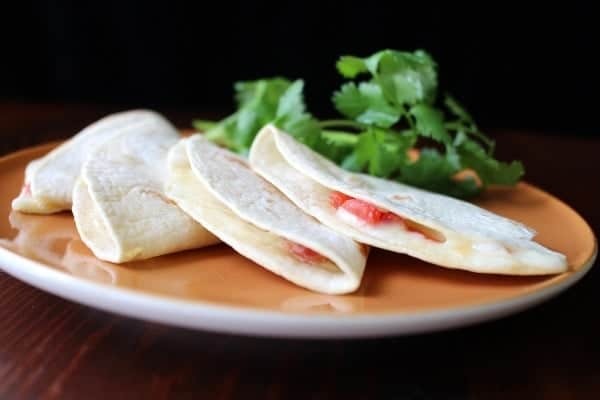 I love quesedillas, and these sound delicious…so simple, yet full of delicious flavor! Grabbing that coupon now and heading to the store to buy the ingredients as soon as possible! This looks delicious and the dip sound amazing. Pinned and sharing! Oh, yum! Baking them is such a good idea.